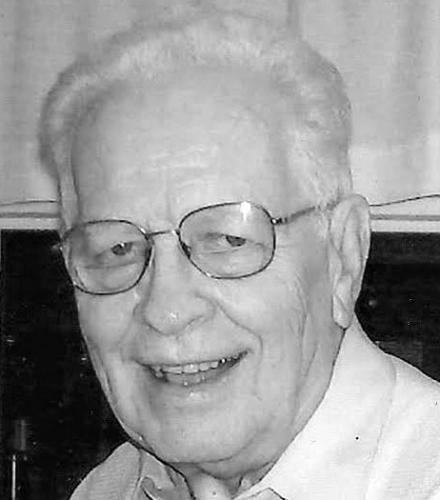 Richard W. Schuchard, age 87, of Toledo, passed away Friday, October 16, 2015, in The Toledo Hospital. He was born August 14, 1928, in Detroit, Michigan to William and Margaret (Brower) Schuchard. He married Jeanne (Charron) on August 6, 1948; they were married for 61 years before she preceded him in death in 2010. Richard retired from DuPont as an automotive paint representative after 40 years. He was a member of St. Patrick of Heatherdowns Church where he and his wife were very active members, serving on various parish committees. Richard was a diehard Detroit Lions, Tigers, Red Wings and University of Michigan fan. He enjoyed golfing and going to casinos, but most of all spending time with his family. Richard was a great dad, grandfather, and great-grandfather who was affectionately known as Pup. He will be missed as much as he was loved. Richard was preceded in death by his parents; stepmother, Adeline (Osier) Schuchard; wife, Jeanne; grandson, David Waite; son-in-laws, David Steed, James Wagener; brothers, Robert and Donald Schuchard; sisters, Thelma Ryan, Shirley Marks, Marilyn June, Joanne Holmes. He is survived by his children, Nancy Waite, Carol Steed, Mary (Randy Dinkens) Schuchard, Janet (Michael) Knorr, Debra (Richard) Harrison, Richard (Florence) Schuchard, Ann (David) Schaub; 21 grandchildren; 20 great-grandchildren; sisters, Ilene Lock and Donna DePelsmacker; brothers, James (Janet) and John Schuchard, and many close friends. Friends may visit at the Coyle Funeral Home, 1770 S. Reynolds Rd. on Thursday, October 22 from 2:00-8:00 p.m. where a scripture service will be held at 7:00 p.m. Funeral Services will begin in the Mortuary on Friday, October 23 at 9:30 a.m. followed by a funeral mass at St. Patrick of Heatherdowns Church at 10:00 a.m. Committal services will follow in Resurrection Cemetery. Memorial Contributions may be made to Fr. Brogan Memorial Fund at St. Patrick of Heatherdowns or to a charity of the donor’s choice . The family would like to extend a special thank you to the doctors, nurses, and staff at The Toledo Hospital. (News story) Robert Zeller, who served as a radio operator and bombardier for 18 missions over Germany during World War II before becoming an IBM engineer, died Saturday at The Lakes of Monclova. He was 92. His daughter, Julie Coletta, said he died from multiple organ failure. Mr. Zeller remained sharp in intellect, and lived independently until March, Ms. Coletta said. “He was just a personable, gentle, happy soul,” she said. Mr. Zeller was born Feb. 10, 1923, to Leo and Ethel Zeller in Toledo. His loved ones said growing up in the era of the Great Depression instilled in him a sense of thrift and family. He graduated from Macomber High School in 1941, and the next year joined the U.S. Army Air Corps. By enlisting, he was able to serve the country he loved and pursue his interest in airplanes, Ms. Coletta said. After repeated flights in the Consolidated B-24 Liberator, Mr. Zeller’s plane was shot down in November, 1944, and crashed in a French farm field. He suffered several serious injuries, including a broken neck, and recovered for a year in the hospital. About six years ago, Mr. Zeller was profiled for an hour-long online film regarding recollections from the war. In the documentary, Flying High, he discussed his military training and missions. Mr. Zeller described the sounds of the B-24’s engines and wind gusts whipping through the plane while the crew flew at up to about 25,000 feet. He still clearly remembered the explosion of shells in the air. “When they’re real close, it’s like someone’s throwing pebbles at the aluminum,” he said. He was awarded several medals for his service, including a Purple Heart. He was later a member of the Veterans of Foreign Wars. Upon returning from the war, he married Antoinette Zeller in October, 1945. They were married 65 years until her death in 2010. He worked for IBM for 32 years as a senior customer engineer, retiring in 1982. Surviving are his sons, Robert and Gregory; daughters, Julie Coletta and Rita Fournier; sister, Rose Taylor; eight grandchildren, and six great-grandchildren. Visitation will be 2 to 8 p.m. today at Coyle Funeral Home where a Scripture service will begin at 7 p.m. The funeral Mass will be at 10 a.m. at Our Lady of Perpetual Help Church. The family suggests tributes to VFW Post 6170 in Perrysburg or the National Museum of the Mighty Eighth Air Force in Pooler, Ga. This story was written by Blade Staff Writer Ryan Dunn. Contact him at: rdunn@theblade.com, 419-724-6095, or on Twitter @rdunnblade. Alphonse J. Koschinski, age 88, of Perrysburg, Ohio passed away peacefully on Saturday, October 10, 2015, at his home surrounded by his family. He was born on March 31, 1927, in Swoyersville, Pennsylvania to Frank and Josephine (Polkrzywnicki) Koschinski. 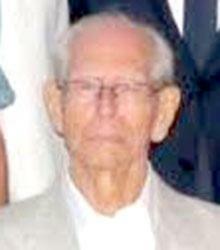 Upon completion of high school, Alphonse entered the Navy in 1945. After being honorably discharged, he went to work as a carpenter for Libbey Owens Ford Glass Co. in Rossford. He was a member of St. Rose Parish in Perrysburg. Alphonse enjoyed 33 years of retirement and during that time he enjoyed The Cabin, traveling, gardening, planting fruit trees and grapes, and listening to polka music. He was a terrific storyteller and never met a stranger. Surviving are his children, Rose Anne (Tom) Wheatley, Jessica (Barry) Brown, and Gene (Linda) Koschinski; granddaughters, Katie (Ryan) McFarland, and Alexis Brown; great-granddaughters, McKenzie Kidd, and Leah McFarland; sister, Phylomena Dugan; in-laws, Paul and Irene Nawrocki and Ursula Halleron. Also surviving is his lifelong best friend, Gene Scarbrough and many nieces and nephews. Alphonse was preceded in death by his parents; wife of 60 years, Joan Koschinski; and his daughter, Monica Koschinski. Marcia S. Gurecky, 58, died on Sunday, October 11, 2015, at Hospice of Northwest Ohio after a courageous fight with ALS. Prior to her death, she had resided at Kingston Residence of Sylvania and Heartland of Perrysburg. Marcia was born in Toledo, Ohio on November 9, 1956, to John and June (Cramer) Gurecky. Marcia grew up in Maumee and resided in Waterville for the past 21 years. She was a 1975 graduate of McAuley High School and a 1987 graduate of the University of Toledo Law School. From 1987 until May of 2014, Marcia worked in the banking field and was employed at Fifth Third Bank at the time of her illness. She spent 12 years as an active volunteer for both the Waterville and Maumee Boy Scouts. Marcia is survived by her son, Jacob; brother, Jeffrey; sister, Cheryl (Richard) O’Connor and cousins, Catherine Roberts, Father Louis Bartko, Sister Ann Bartko, Andrew (Marilyn) Gurecky and Donald (Linda) Gurecky and friend and neighbor, Angela Scully. She was preceded in death by her parents. The family would like to extend a heartfelt thank you to all of Marcia’s special friends and co-workers from the Toledo area, whose visits brightened her days. Father of Pat Wismer Burroughs ’62, Nancy Wismer Garand ’84 and Tina Wismer Ball ’86 passed away. Arthur C. Wismer Sr., of Toledo, passed away peacefully on September 28, 2015, at Hospice of Northwest Ohio in Perrysburg. Art was born in Amherstburg, Ontario on December 2, 1918. 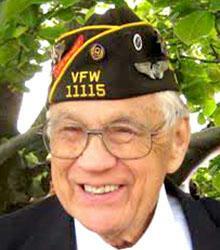 He moved to the United States and proudly served in the U.S. Navyduring WWII. He owned and operated Art Wismer Builders his entire working career. In his younger days, Art had been an avid boxer and this carried over to when he was Athletic Director for the Boys Club where he also helped teach boxing. He was preceded in death by his wife, Gertrude; son, Terry and son-in-law, Jeff Cornell. He is survived by his children, Pat (Bob) Burroughs, Art Wismer Jr., Tim (Darci) Wismer, Joan (Joe) Breisacher, Mary Cornell, John (Betsy) Wismer, Nancy (Greg) Garand and Tina (Steve) Ball. Art is also survived by 20 grandchildren and 6 great-grandchildren. Friends may call on Thursday, October 1, 2015, from 2 to 8 p.m. at The Walter Funeral Home, 4653 Glendale Ave., where funeral services will be held Friday at 1 p.m. Interment will follow in Calvary Cemetery. Those planning memorials are asked to consider contributions to Hospice of Northwest Ohio. The Reverend John “Jack” Kimble passed away July 26, 2015, in Palm Harbor, FL. He joins his brother, Lewis (Mary Alice). Born in 1937, in Scranton, PA to Lenore (Detrick) and William Kimble, he is survived by sisters, Noreen (Ed) Roberts and JoAnn (the late Donald) Hynosky. Also surviving are his wife of 55 years, Marilyn (Deykes); daughters, Jacqueline (John) Dixon and Elizabeth Vindas; eight grandchildren; and several great-grandchildren. Fr. 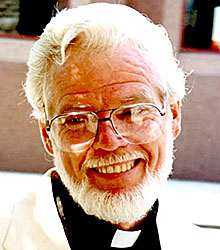 Kimble spent eight years in the Army Reserve, attended Lehigh University (Master of English), General Theological Seminary (Master of Divinity), and the University of Toledo, where he received his teaching degree. He taught Special Education for over 20 years in the Toledo Public School system. He served a handful of churches before finding his home parish of 25 years, All Saints’ Episcopal, Toledo, OH. He and his wife then retired to Clearwater, FL. A staunch supporter of equal rights, he was on many committees, including the board of EOPA. A brilliant man, he enjoyed politics, spending summers fishing in Canada, bowling, golf, gardening, and engaging others in conversation. A memorial service will be held noon, August 11, at St. John’s Episcopal, Clearwater. Toledo memorial service to be planned at a later date. Contributions may be made to All Saints’ Episcopal Church, Toledo.